The premier park in the area! Our family invites you to stay with us and enjoy tranquil nights and fun filled days. Always something to do - ATV trails, planned activities, crafts, shows and always a good time with friends. Stayed here for almost a week and enjoyed our site and the area. Paved roads and large pull thru sites. Nice hiking trail to the hill top to watch the sunrises or sunsets. Peaceful and quiet area, lots of planned activities and everyone was very nice. Wish we could have stayed longer. Beautiful view and big pull throughs. 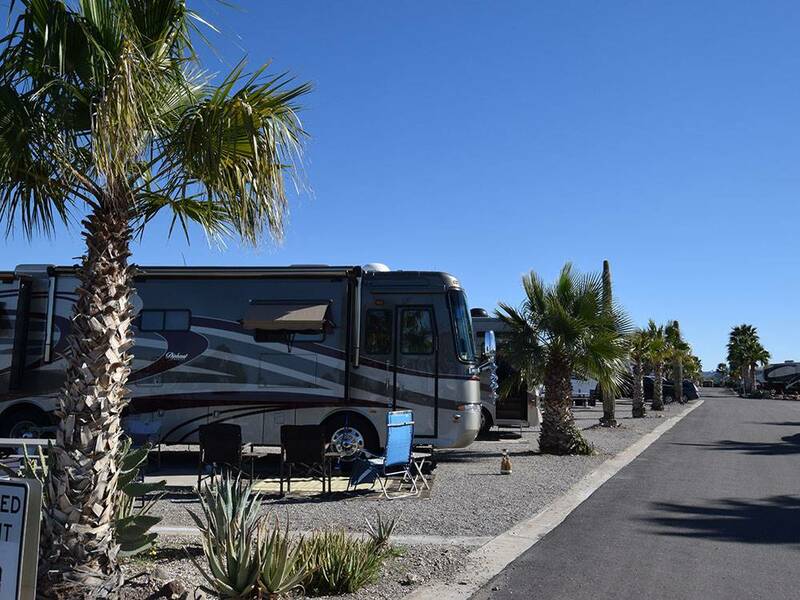 Enjoy the newly-launched Arizona Peace Trail and nearby Quartzsite. We are ATV & pet friendly. We have wide, PAVED streets! We offer an abundance of planned activities and entertainment throughout the winter season.